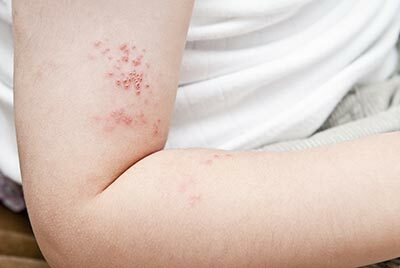 You have seen the TV commercials everywhere to help raise the awareness of Shingles… Anyone who has had chickenpox (caused by the varicella-zoster virus) is at risk of developing shingles later in life. After you’ve had chickenpox, the virus then lies dormant (sleeping) in the nerve cells of your body. As you get older, your immune system usually weakens, which will then make you more susceptible to the virus should it reawaken and come to the surface, manifesting as shingles. Even if you are feeling great, your immune system could still be compromised if you are over the age of 60 and have had chickenpox in the past. Shingles manifests as a painful, blistering rash usually on the abdomen or torso and creates a line of blisters wrapping around either the right or left side. This can be an incredibly painful condition, which is why many doctors recommend a shingles vaccination to prevent it from occurring. Who Should Receive Shingles Vaccination? Even if you’ve already had shingles, everyone over the age of 60 should get the shingles vaccination. This vaccine is only recommended for those 60 years and older. It’s technically approved for people ages 50 to 59 years, but the CDC does not recommend it at this age. The shingles vaccinations works by keeping the virus dormant in your nerve cells and preventing reactivation. This is not a fail-safe method to prevent shingles from occurring; however, even if you get shingles after getting vaccinated, the severity and duration is generally reduced. When the rash clears, many people often suffer something called post herpetic neuralgia, which is a long-term lingering pain in the nerves. While there is no scientific evidence to support the theory, it is hoped that the medicine will prevent this symptom from occurring. Post herpetic neuralgia is quite difficult to treat and very uncomfortable to the patient. The vaccine is a live one with side effects including redness, pain, swelling, and tenderness at the injection site, which is usually the upper arm. Sometimes, patients have reported mild headache. A weakened immune system caused by HIV/AIDS, leukemia, lymphoma, or other form of cancer. Receiving immunosuppressant medications like steroids, Humira, Enbrel, Remicade, chemotherapy, or radiation therapy. In some cases, this vaccination is not covered by Medicare or other insurance, so be sure to check with your plan first. As a member of my concierge practice your shingles shot is part of your member benefits.